Nashville’s Grand Ole Gameroom Expo is now in its third year, and for 2018 was held in a new location – Millennium Hotels’ Maxwell House. 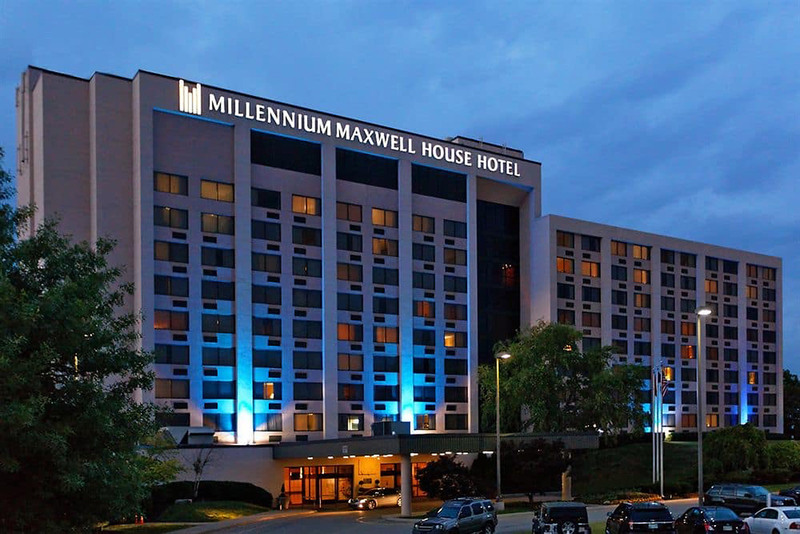 The hotel’s name is in homage to Nashville’s famous and historic Maxwell House Hotel. The Maxwell House was a fixture of Nashville’s downtown from 1869 to 1961 when it was destroyed by a fire on Christmas night. The Maxwell House hosted many famous guests including Jane Addams, Sarah Bernhardt, William Jennings Bryan, Enrico Caruso, “Buffalo Bill” Cody, Thomas Edison, Henry Ford, Annie Oakley, William Sydney Porter (O. Henry), General Tom Thumb, Cornelius Vanderbilt, George Westinghouse, and U.S. Presidents Andrew Johnson, Rutherford B. Hayes, Grover Cleveland, Theodore Roosevelt, William McKinley, William Howard Taft, and Woodrow Wilson. U.S. President Theodore Roosevelt was quoted as saying that a cup of coffee he drank at the Maxwell House was “good to the last drop”. This has been used as the advertising slogan for Maxwell House coffee, which is served at and named after the hotel. The coffee brand is still in operation, and is now owned by Kraft Heinz. The Maxwell House Hotel features “Praline’s” restaurant as well as “Maxwell’s” pub which had a no-cover live open mic Blues Jam on Friday night. 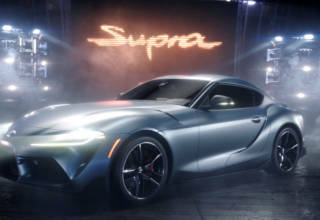 The hotel offers free shuttle service for guests to the Nashville Honky-Tonk entertainment district departing every thirty minutes until midnight. The hotel also has a business center with computers and printers available for use by guests as well as an exercise and weight room. 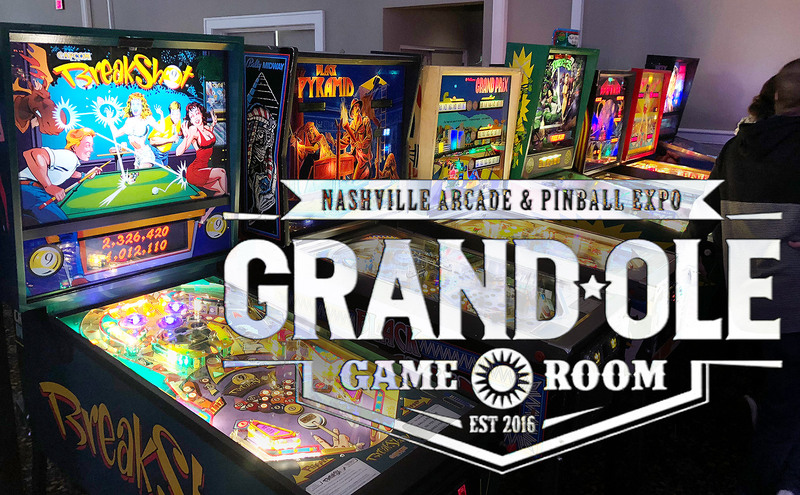 The organizers of the Grand Ole Gameroom Expo offered a discounted hotel rate for those attendees who wished to take advantage of it. 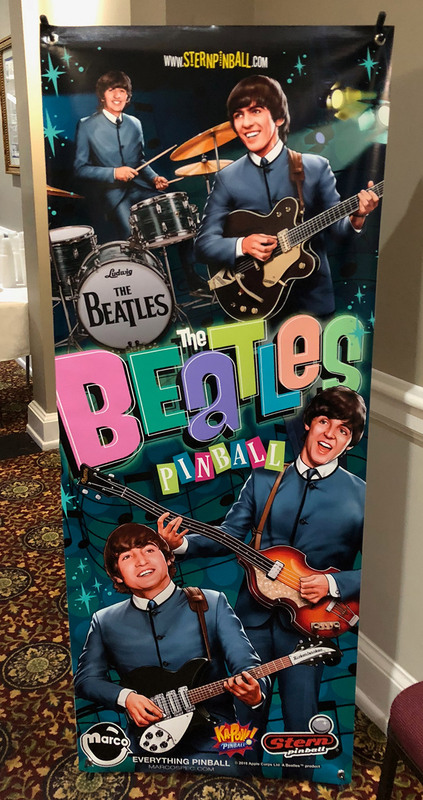 If you plan to attend the 2019 Expo, I’d suggest that you make your hotel reservations as soon as your travel plans are completed – I inquired about rooms six weeks before the show and was one of the last show rate guests booked. I feel that the 3-day adult weekend pass offered by the Grand Ole Gameroom Expo is a very good deal for all ages. 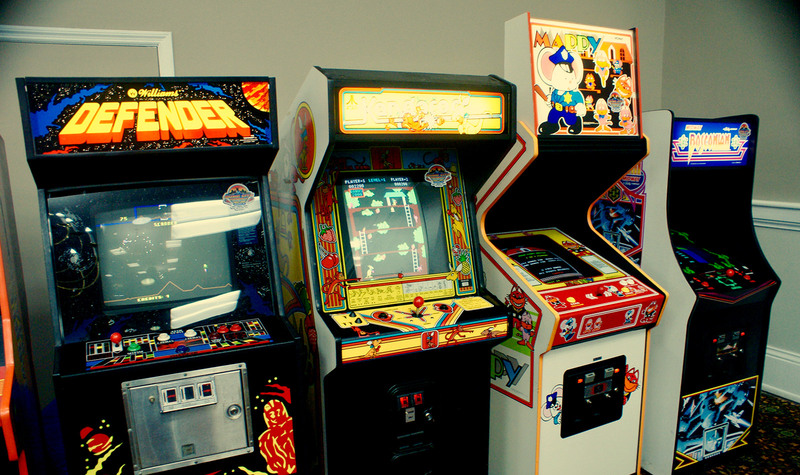 $60 got you 3-day unrestricted access to all of the gaming areas as well as the seminars. 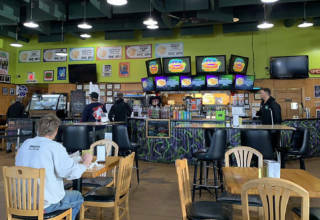 Children’s passes could be purchased for half the adult price. The organizers offered attractive event t-shirts and posters to attendees for a modest extra cost. 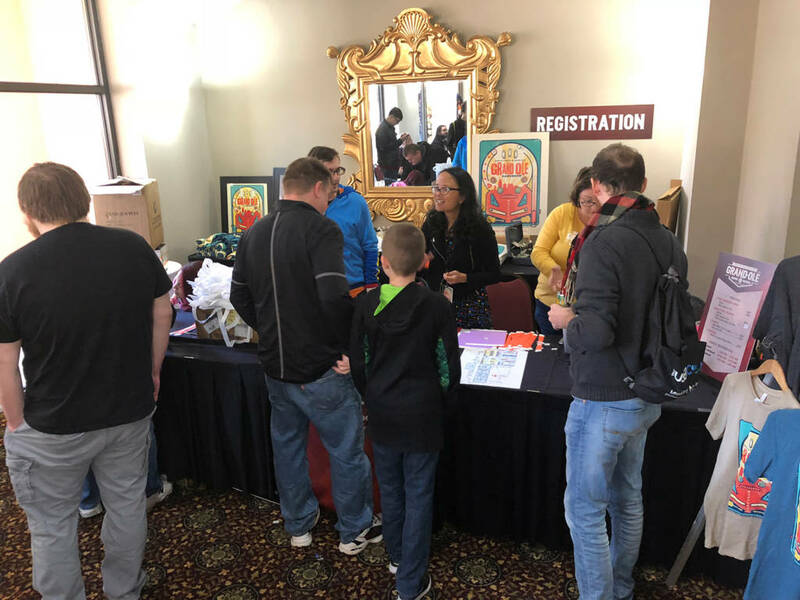 Local gaming organizations were given a table right next to the admissions check-in for their flyers and information. Music City Geeks social club had members available during prime hours to answer any questions and pass out candy to the attendees. 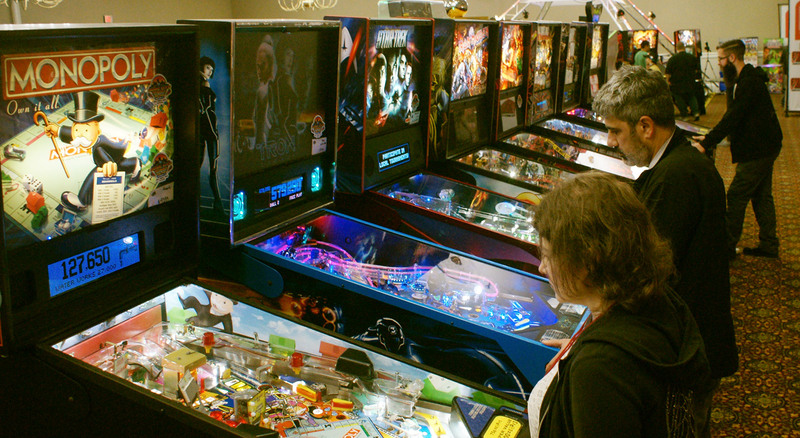 The Expo offered hundreds of pinball games, arcade video games, games of skill such as skee-ball in the spacious Grande Ballroom. 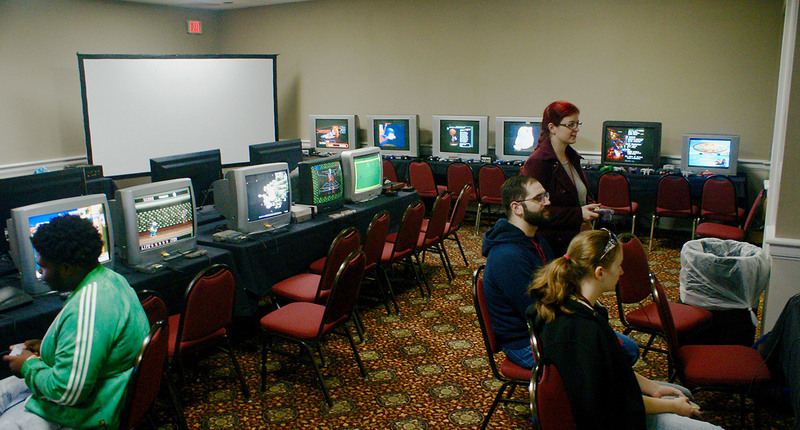 There were dozens of console games set up in the International and Embassy meeting rooms for free play and tournament use. 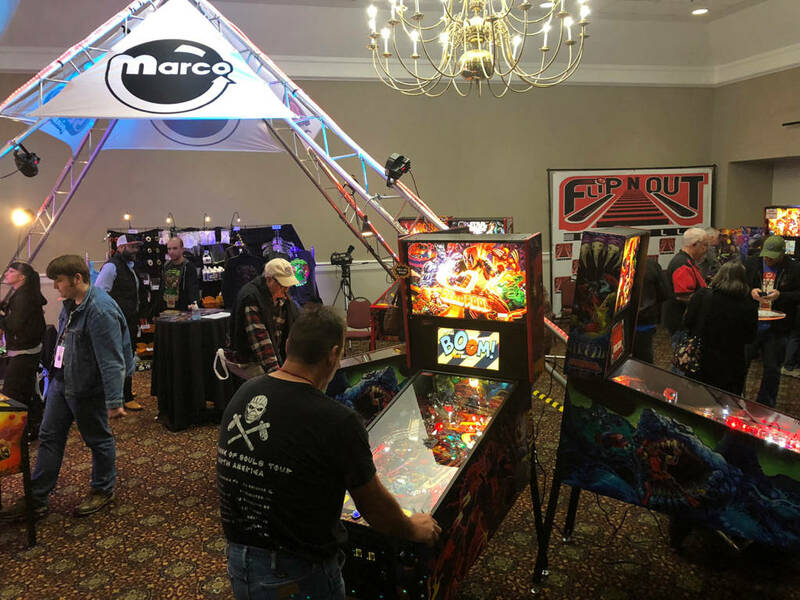 There were rows of the newest pinball games available to play courtesy of Marco Specialties, Flip N Out LLC of Benton, KY, and Music City Pinball. 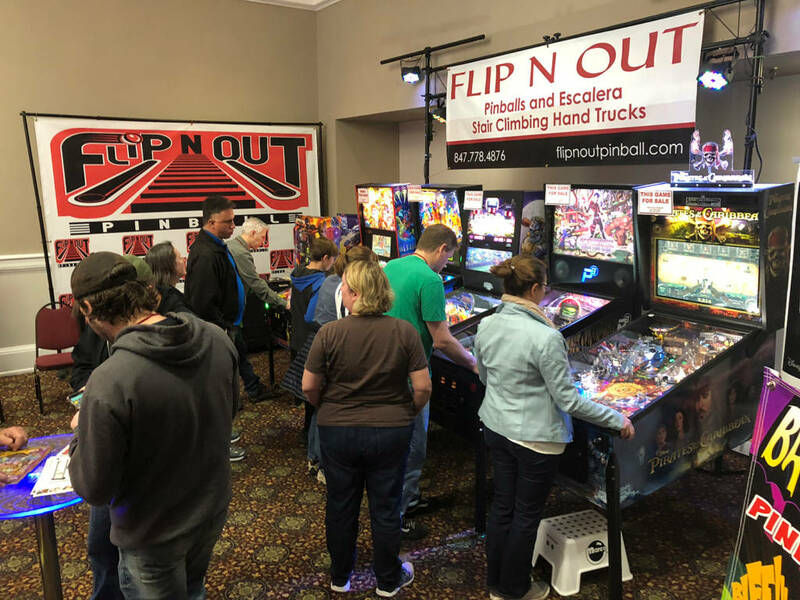 The companies had representatives on hand to answer any questions, hand out information and also award prizes such as t-shirts and hats to attendees who achieved high scores or just looked like they could use some swag. 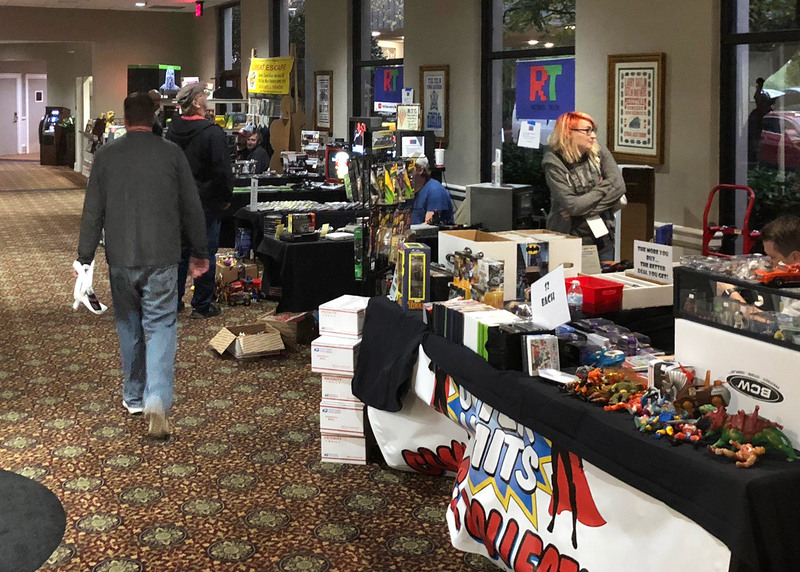 The Promenade area outside of the Grande Ballroom was packed with vendors of all types selling wearables, accessories, parts and also console game cartridges. 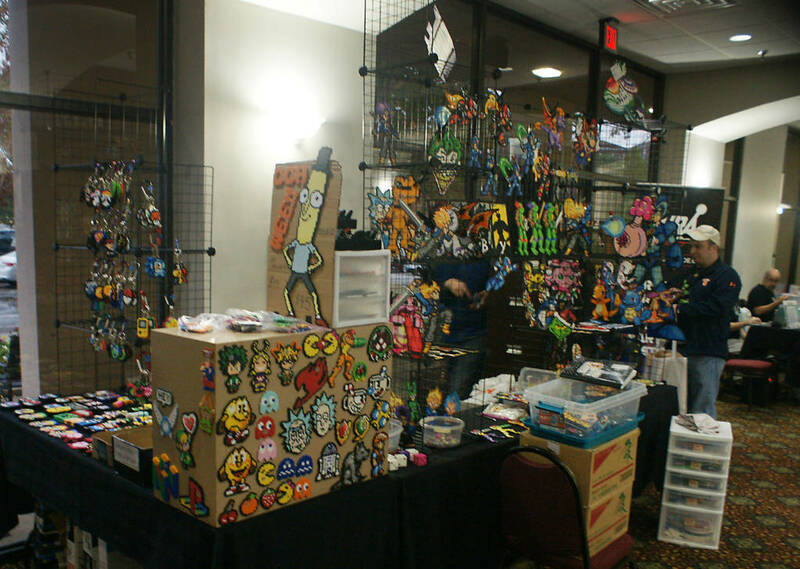 For this show, you did not need to purchase an admission pass to have access to the vendor areas. The Forum East Room hosted the majority of the Expo seminars. The seminars kicked off Saturday morning with a highly entertaining round-table discussion titled Pinball Behind The Scenes with Marco Ramirez (Marco Specialties), Mike Vinkour (Stern), Rachel Bess (Electric Bat Arcade), Whiney Roberts and Brent Griffith. 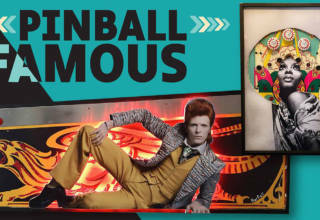 Brent and Whitney may be known by some Pinball News readers as the hosts of the Brokentoken classic arcade and pinball podcast. 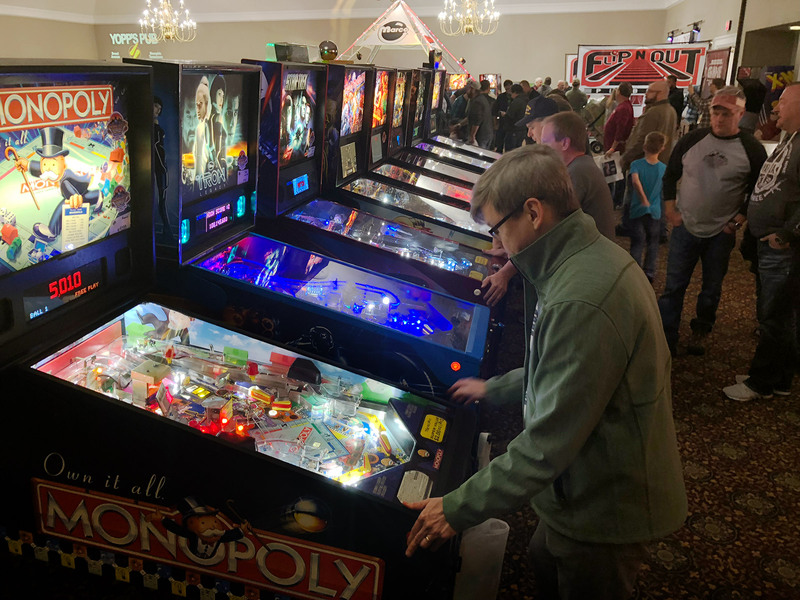 After a Friday night icebreaker, the Grand OGRE matchplay pinball tournament was held Saturday night in a reserved area of the Grande Ballroom. 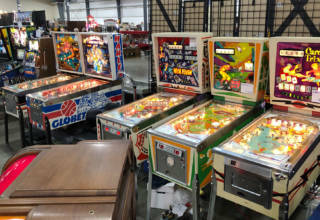 The organizers stated that this was Tennessee’s Largest IFPA Pinball Tournament. 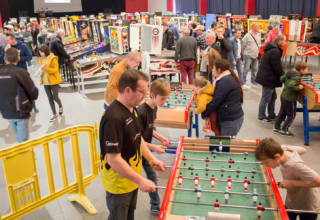 The tournaments were well attended and produced some furious competition. 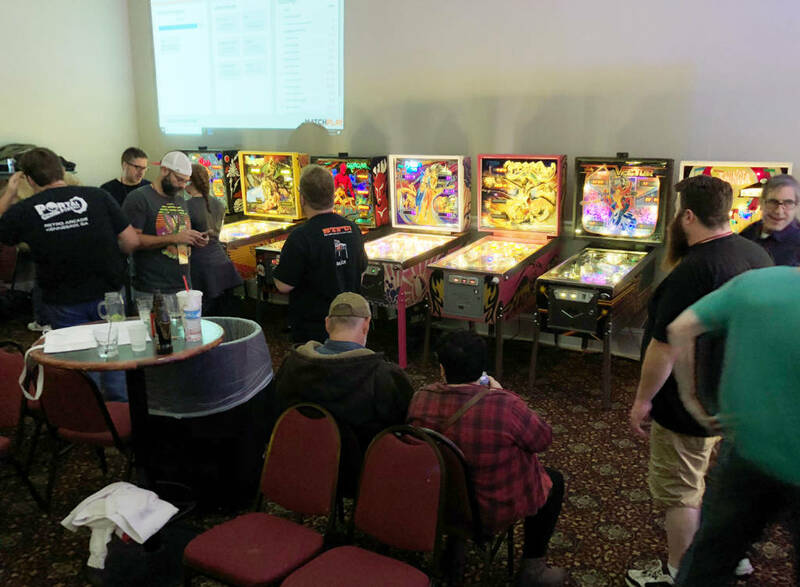 There was also a Nashville vs Memphis pinball challenge tournament Saturday night. 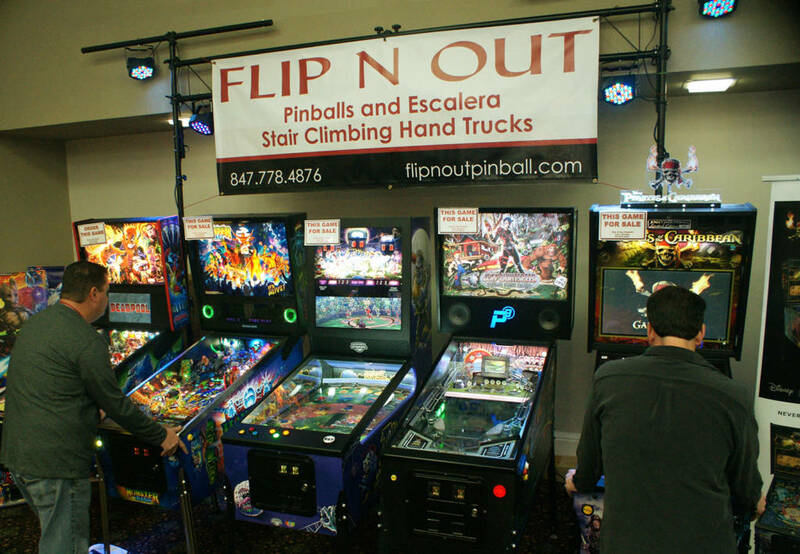 Yopp’s Pub of Nashville was one of the sponsors of the pinball tournaments. Tennessee Esports Alliance hosted the TNEA Arena event in the Embassy Room Friday and Saturday and in the International Room on Friday, Saturday and Sunday of the Expo. Saturday there was Rocket League tournament play in the Forum West Room. 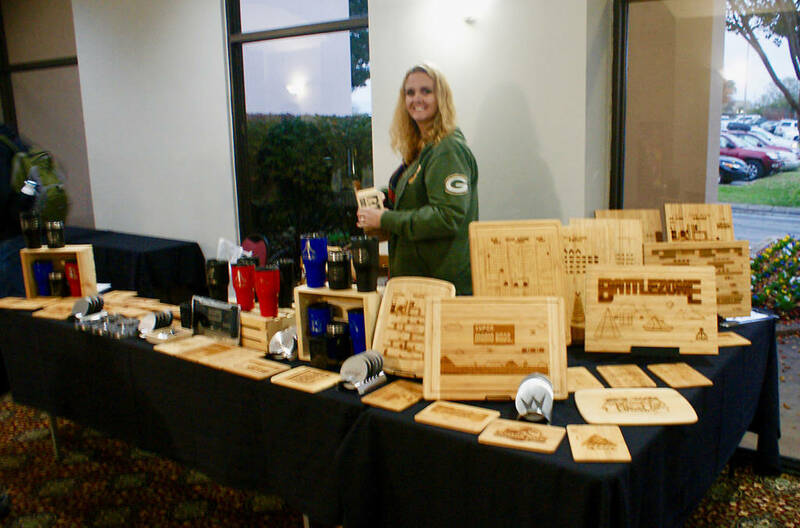 Over $7,000 in prizes and trophies were awarded to the winners. 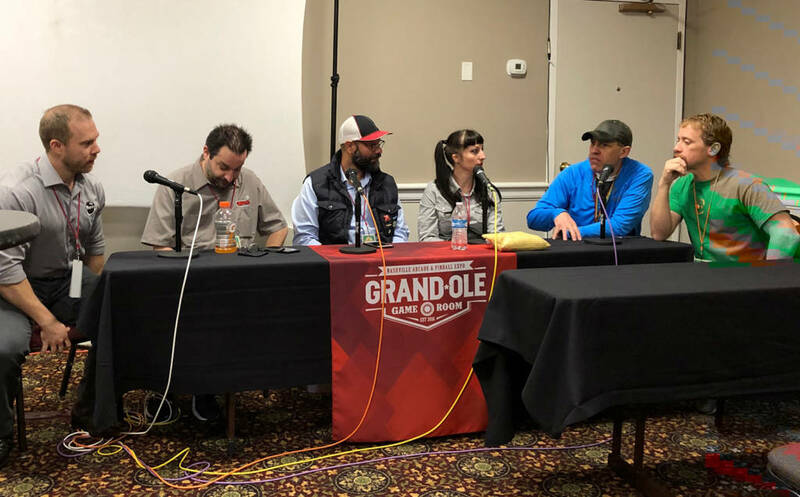 There was an area in the Forum West Room dedicated to VR gaming; this gave attendees a chance to try out the latest virtual reality games and form an opinion about this nascent technology. 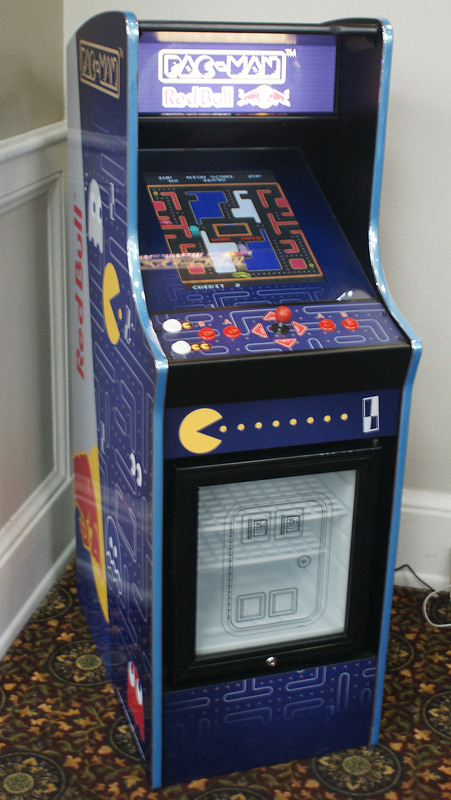 The Red Bull drinks company was one of the partners for the Grand Ole Gameroom Expo, and each paid attendee received a coupon good for a free limited-edition Red Bull Pac-Man theme energy drink or mocktail available at the walk-up bar and snack shop located just outside of the Grande Ballroom entrance. 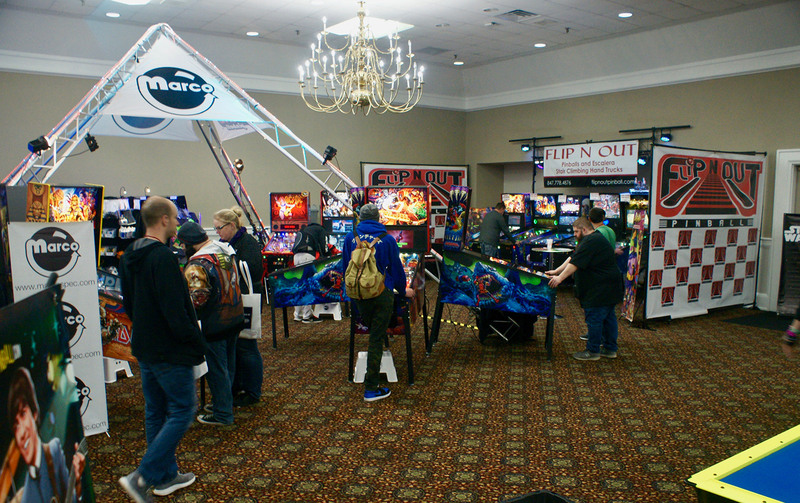 I feel that having a concession area near the main gaming room is a feature that other show organizers might want to take note of and include in their shows. Each Pac-Man drink can had a special code under the tab to unlock additional mazes for the Pac-Man app that is available at pacman.redbull.com and other major mobile app stores. 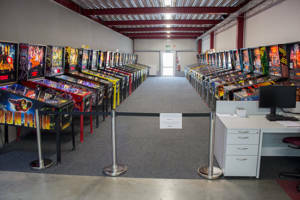 Portal Pinball of Kennesaw, GA (Atlanta area) brought several games from their arcade to the free play area and also had staff members on hand to offer help with game repair. 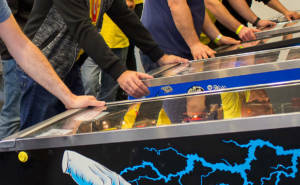 As the old saying goes: “If it doesn’t break, it isn’t pinball”. 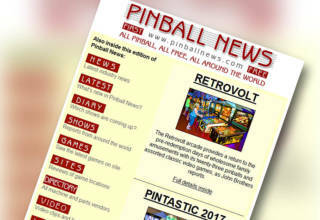 Look for a future site review of Portal Pinball here on Pinball News. 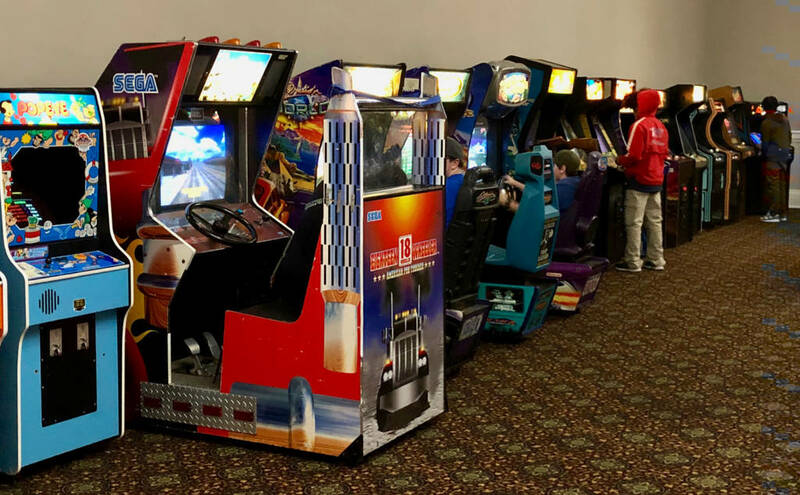 Imoto Arcade posted a nice walk-through of the 2018 Expo and it is now available for viewing on YouTube. 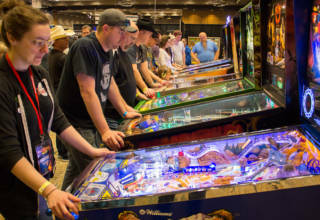 Overall, I feel that the Grande Ole Gameroom Expo is a very well run and entertaining Pinball and Arcade Game show that is poised to shed its past regional role and become a must-attend for both players and exhibitors alike on the North American pinball show and expo scene. 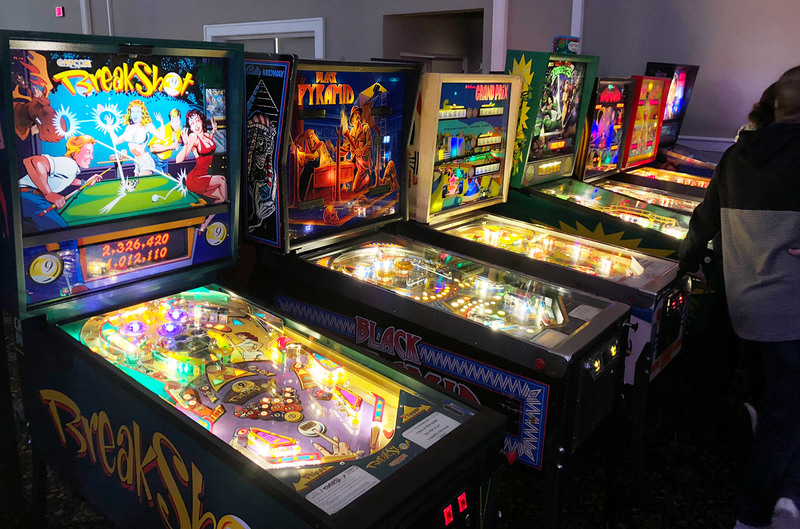 2019 dates for the Grand Ole Gameroom Expo have not yet been announced, but when they are known, we will let you know right here on Pinball News. 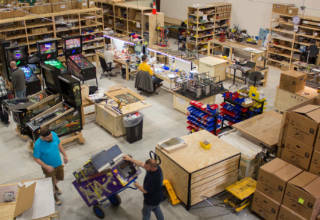 Sincere thanks to David Corrigan, Digital Hero Games LLC, and the show staff for their assistance in covering this show.